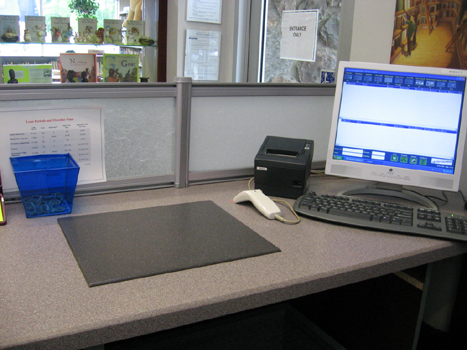 Lib-Chip’s RFID staff workstation provides the most user friendly, most comprehensive, RFID service desk available. With software and ergonomic design perfected through international client base experience, the Lib-Chip staff workstation makes the tasks of conversion, issuing, returns, and all manner of stock and patron data processing operations, easy, quick and sure. Into your existing staff station we build an adapted RF-ID Lib-Chip reader and we install on the existing PC a software part. This software processes, by reading the transponder, the original barcode information, which further will be processed by your library system. At present there are several reader/writer types available such as table top and shielded. The shielded unit creates an read/write environment in which the reader only works in a defined area. Both can be installed as tabletop or under the desk. Providing universal compatibility with all SIP2 conforming library management systems, the Lib-Chip staff workstation, through its dedicated support of international standards, provides complete assurance on your library’s compatibility with future RFID developments. A great advantage is the fact that media can be placed, at any time, piece by piece or in stack also a mixture off books, cd’s, sets, etcetera can be taken in or issued in 1 go. You can also use the staff station as a conversion station. To avoid high cost for SIP licences Lib-Chip developed a Circulation Desk software that is linked direct to your LMS. 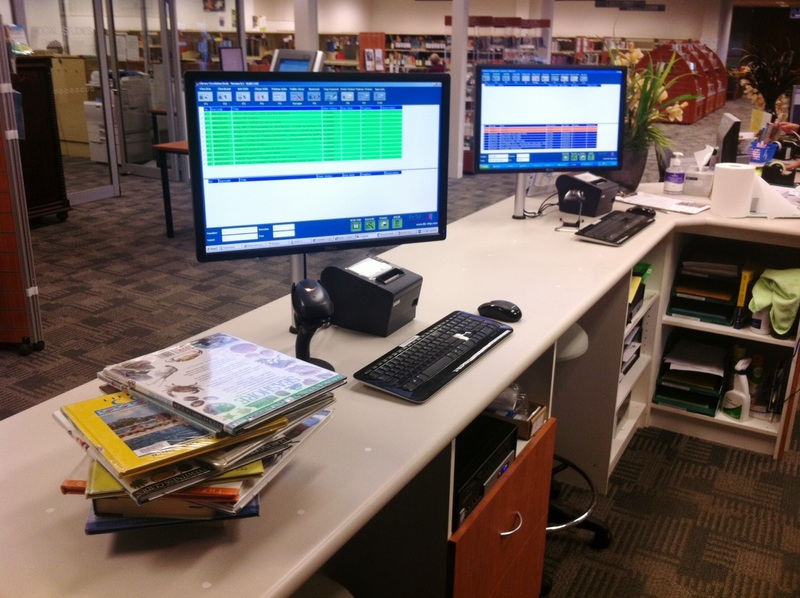 Lib-Chip RFID wedge software works together with the library’s existing circulation stations without requiring a SIP connection. 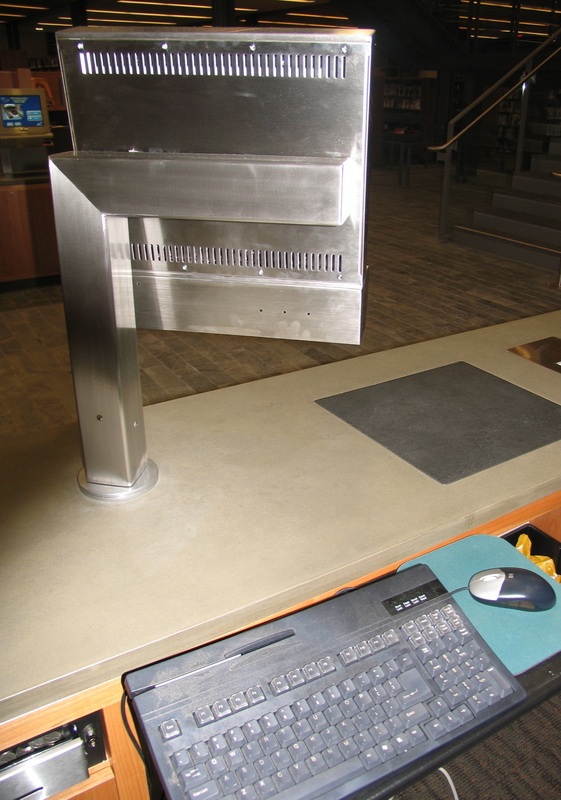 The software reads data from an RFID tag and posts the data, (item ID number), directly into the screen of the library circulation software. This means that any ILS software, from any supplier, can accept items that are processed using the Lib-Chip RFID wedge software in combination with an RFID reader. All circulation processes occur directly in the ILS software. Independent of ILS system in use. Staff can work within their own (familiar) software environment. Not necessary for staff to learn a new software application. Very easy and transparent in use. Extra SIP connections are not required.